According to internal agency documents obtained by the Washington Post, the US Secret Service has requested an additional $60 million in funding to better protect a man who, with every ill-advised tweet, colors in another ring in the target painted on America’s face. The Post reports that $26.8 million of that request would go towards protecting Melania and Barron, who continue to reside in a three-floor apartment in Trump Tower, a tackily gleaming middle finger to the island of Manhattan. The additional $33 million would go towards covering travel costs of “the president, vice president, and other visiting heads of state.” Among these costs are those associated with Trump’s almost-weekly visits to Mar-a-Lago, his private club in Palm Beach, Florida, which have already cost local law enforcement over $1.5 million. The documents reviewed by The Post did not show how the new budget requests compare to the funding needs for past presidents, and such figures are not public information. The Secret Service and Department of Homeland Security, which oversees the protective agency, declined to provide cost breakdowns and have said in the past that such figures are confidential, citing security concerns. 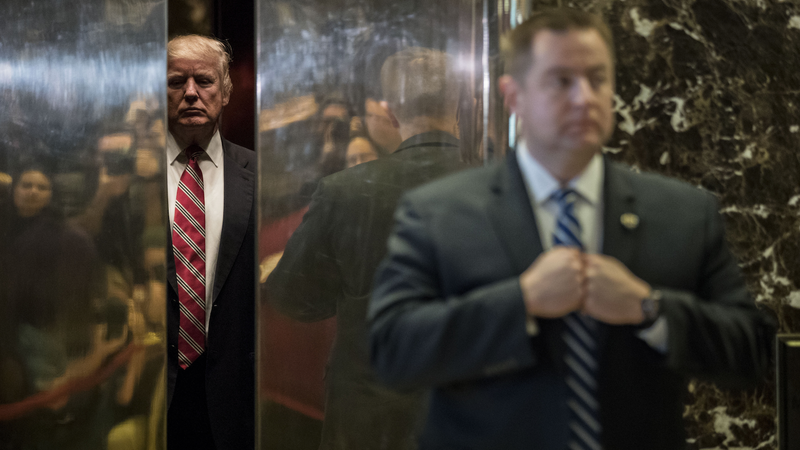 A person familiar with internal Secret Service budget discussions said the requests for additional funding, prepared in late February, were rejected by the Office of Management and Budget, an arm of the White House. That means the agency will likely have to divert other spending to handle the additional burden. While best known for protecting the president, Secret Service agents also investigate cybercrimes, counterfeit-money operations and cases involving missing and exploited minors. According to the report, the $26.8 million budget item was marked in previous years as $0—meaning this is a totally new expense for the Secret Service. To be sure, past presidents have not held residences for their estranged family. But it likely won’t be the wealthy who underwrite the Trump family’s lavish and dysfunctional lifestyle. Trump is currently promoting the Republicans’ major healthcare reform plan, which makes health insurance unattainably expensive for a large portion of low-income Americans (the Congressional Budget Office estimates that 24 million fewer people would be insured by 2026 under the bill) and also gives individuals who make over $1 million per year roughly $157 billion in tax cuts. Those who make less would receive $0 in cuts. At a rally in Louisville, Kentucky on Tuesday, Trump promised more “massive” tax cuts, but only if the Affordable Care Act is repealed and replaced. What Trump has, on the other hand, is three homes and a dainty ego, and the ability to force Americans to pay for all of them.